There are lots of youth ministry activity books out there. Which ones should you buy? 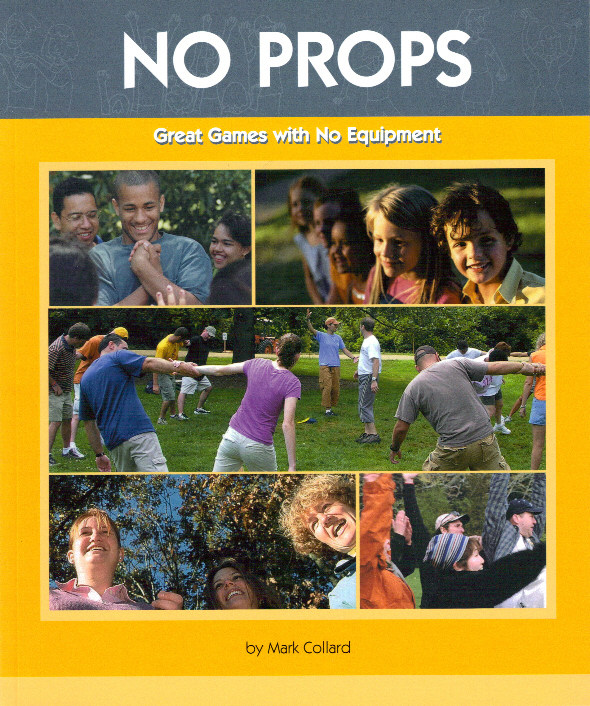 Here is one that focuses on popular group games, and with NO props! It’s one of my favorites and it´s been a life saver quite a few times! It seemed like most of the activities rarely last more than 20 minutes. There are great examples of ice breakers and tag games, as well as simply fun activities. I mostly recommend this book for opening activities that help teens get to know each other, or little games your youth group plays while they wait for late-comers or finish up the evening. I definitely picked this book up often in order to program a lot of my youth nights, retreats and camps. 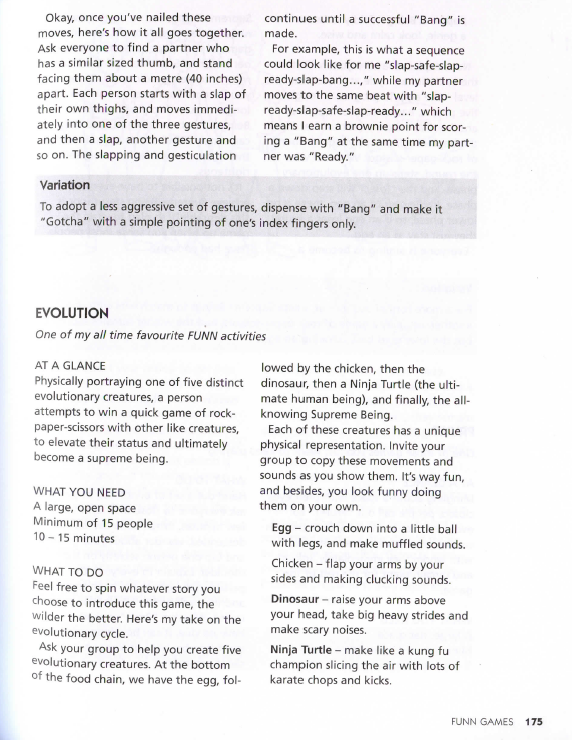 However, this is not a book where you will find activities that spark deep discussion or that transmit values clearly. You can find some good ideas and tips on youth ministry at the end of the book. These include programming philosophy, sequencing, picking the right activity, challenging your youth group, the experiential learning cycle, getting the best attitude and effort from your group, and other tips. This was a good read that shows Mark Collard has a strong grasp of youth ministry. If you liked this post, please “like” it and “share” it with any youth ministers, priests, parents or other contacts you know. Help me get the word out! Posted in Adolescence & PedagogyTagged activity, book review, formative activity, fun activities, group activity, group problem solving, ice breakers, resource, retreats, summer camps, tag games, teambuilding, warm up games, young adult ministry, youth ministryBookmark the permalink.